What is Paid Advertising? And its Various Platforms. Paid media or Paid form of marketing infers to other marketing forces other than traditional marketing, that involves a paid placement of the of the ads. Paid media includes Adwords (now Google Ads) i.e. PPC, brand content, display ads and video ads. To have a better understanding of the paid search advertising, one must first understand how a search engine results page (SERP) works. When somebody types something or what they’re looking for into a search engine (like Google, Bing, Yandex) the search engine responds to it with a list of web pages (their title, links, and description with several options) that are more relevant or exact to your query. This is SERP. The SERP shows the bulk results of the queries, that comprises of the organic results meaning unpaid. A must read Do’s and Don’ts to follow for SEO on 2018 a guide to Ranking Factor. PPC (Pay Per Click) ads are the consequence (web page names) that appears at the top, in-between and bottom of the SERP. While we often get confused between the organic and the paid ads, here’s the catch. Think of a visually distinctive element that separates them, the paid ads have Ad written in green in left side of the search ads. Here’s an example of an Adwords (now Google Ads) ad, which is the paid search marketing ad for Google. Paid media is an important element for revenue growth and promotion of brands, creating awareness fort the benefits of business. Owned or Personal media are the websites, blog or other web entity that is owned by an individual entity or group. Earned or Natural or Organic media are those content or pages that organically crawl across the internet or web and appear at the SERP, based on its popularity or number of high searchers, inherent values, such as engagements in relation to it like review and comments. Paid media Paid advertising, on the other side, is somewhat similar to traditional marketing, wherein one pays to a third party to broadcast to broadcast your message to the large audience and other individuals. Although we may be able to distinguish and point out different media marketing like paid, earned and owned but now all these lines are thinning and all the differences seems to be fading away with the modern approach. Why do we need to Use Paid Media? At first instance, paid media might seem costly and unnecessary also concerning the outcome of the campaigns. The strength and effectiveness of the internet marketing and social media marketing lies in filling the gap of the audience i.e. time, place and process. It has covered by exposing it to numerous different users of your brand in new, distinguished and engaging way. The use of paid media is quite valid and staunchly advised to be used by different business owners to combining the earned, owned and paid media for the growth of the business. Paid form of marketing is one of the easiest and swift way to drive traffic to your site, with conversions and sales. Paid marketing is a good and effective way of opening doors to various opportunities. A promoted post or tweet will be the first step and exposure to your business or brand building activity. Whether you’re new, existing or supposed to be a starter it provides you the opportunity to spread the reach of your brand as broad as possible, actively boosting up your primary goals. Your content in the internet or social media platform, if campaigns launched are strategically and well researched, it will very easily lead to more followers, generating leads, earns click and potentially increasing the traffic of your website. It becomes easier to track the record of the paid content than the organic content. Social media and internet marketing provides the statistics and all the minute details, like number of impressions, clicks, leads, sales, while same in organic becomes bit complicated to view it. Paid promotions helps in ensuring your content, promoting for a bigger sales objective, might be a charity or cause, an informative video aimed at establish yourself as a renowned leader- getting attentions, shares and reaching the right influencers. Just one quick thought, just because one content in internet is promoted, that doesn’t mean it doesn’t weigh any value to it. The internet marketing and social media market is highly complicated and mystifying because no one knows why one content gets viral or popular to another. Recently it has transformed from Adwords to Google Ads meaning advertisement for all. A platform for all forms of advertisements. Here’re some of the upgrades and differences between the old Adwords and new Google Ads. Paid media includes various platforms across different platforms like Social Media platforms and Google Ads. Among the social media platforms, the most famous and chief among them is Facebook. Over the past years Facebooks has become and inseparable and important part of any advertisement platform leading the number one. Facebook advertising or commonly known as Advert, offers numerous promotional options. Most commonly used by E-commerce industry is Carousal ads. Carousel ads are the swipeable ads allowing the viewer to view multiple images or videos in a single ad space. According to Facebook, here are the updated requirements for a carousel ad. Facebook lets online business users to target their ads based on different metrics such as demographic, psychographic, geographic, linguistic, gender, interest, professions and many more metrics. Twitter offers similar services as that of Facebook like Promoted contents or tweets, which looks like a normal or regular tweet but reaches out to more audience who might be interested in the concerned business. Note: Promoted tweets can be utilized for two purposes raising awareness about your business and informing the users regarding a particular event or action. Promoting the contents that has the potential top stand out and driving the traffic to the website. Offering or adding a coupon or deal in the tweet. LinkedIn platform is one of the most important and famous platforms for B2B businesses. It’s paramount and outsatnding in terms of performance of B2B than any other platforms. With more than 1 billion active users every month, Instagram is a great platform to advertise. All its advertisement is maintained and managed from the Facebooks Advert platforms. Photo ads allows one to promote the brand or product in single image format. A simple and elegant method to showcase your brand. Video ads are more attractive and engaging than the single image format, you can upload the video of 60 second in landscape or squared format. Same as that of Facebook, Instagram allows one to display 10 images within a single ad space. 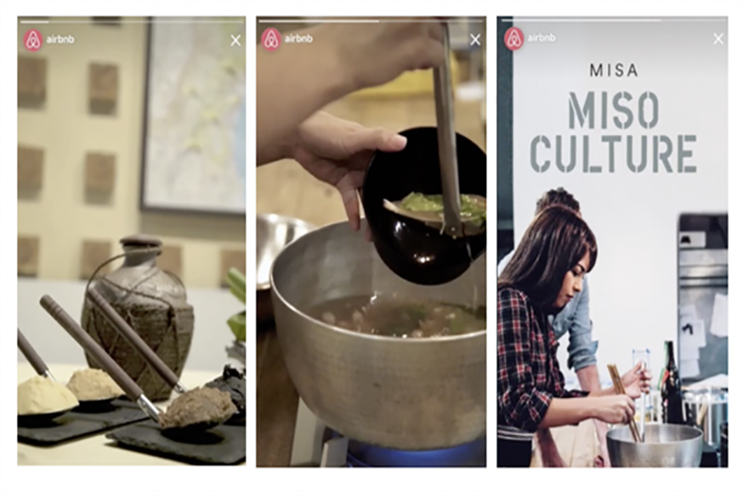 Instagram stories now lets you to promote your products or services to around 300 million users daily. You can experiment with alternative content to try out with story ads. Recently this trend has geared up and its now the epitome and an essential part of marketing and advertisements. 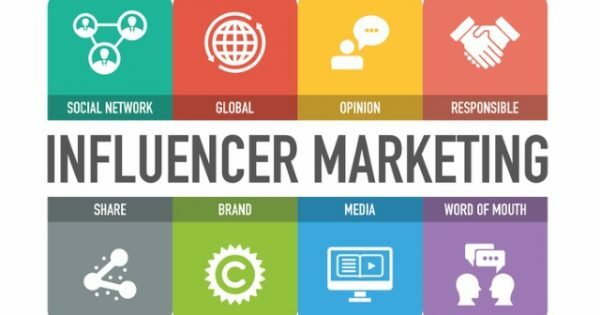 Influencer marketing is that form of marketing that involves the use of social figures or a thought leader who has a great following and is able to inspire or promote the content by increasing its reach and conversions. Many big brands have been focusing now on influencer marketing. For example – One Plus on its launch of One Plus 6 date, they sent the phones to handful picked influencers for the un-boxing purpose, before its launch date, to promote themselves. Understand your customers and set of audience, plan and implement strategically being audience-centric. Paid content is one part of the several marketing campaigns, that helps in driving out the brand to a strong position. Paid media form of marketing should be working alongside of the other campaigns that forms the base to the virtual marketing. Its paramount to understand it and embrace.